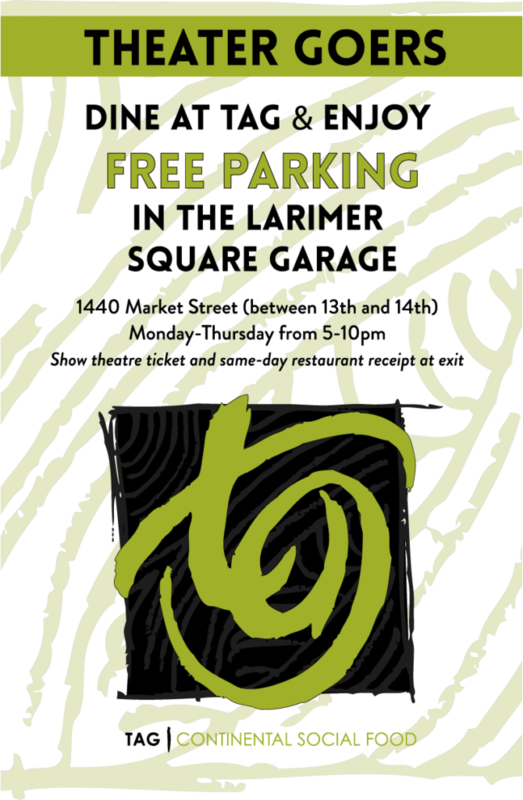 Everyone loves a night out downtown, but no one wants the headache that comes with trying to find parking. We’ve got the perfect solution for you! 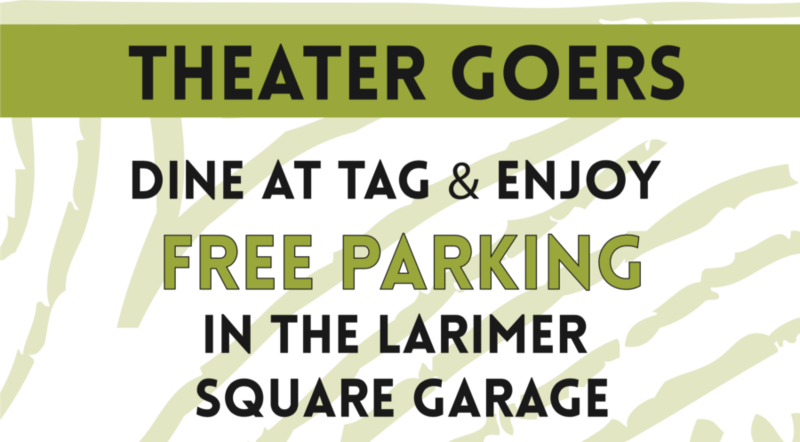 Enjoy a wonderful dinner at TAG Restaurant before your DCPA show, and get FREE parking in the Larimer Square Garage.